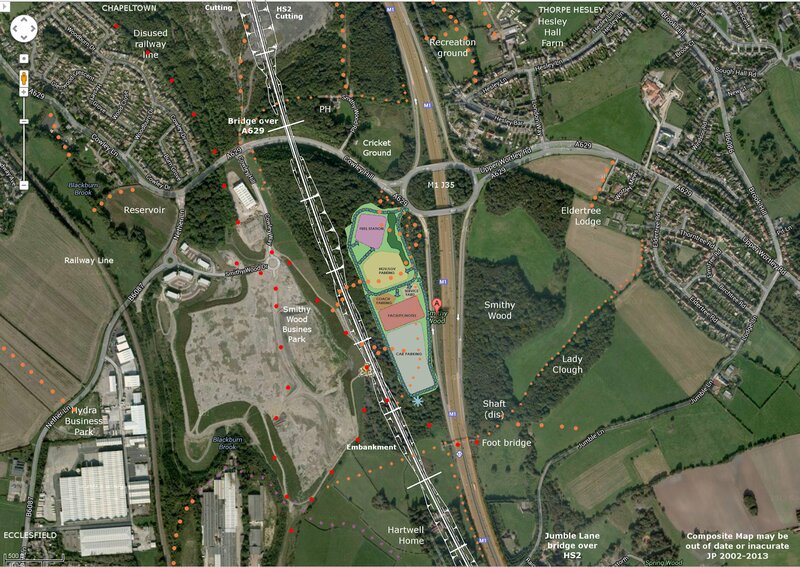 This is the proposed route for HS2 which will result in even more of the Smithy Wood ancient woodland being destroyed. Double click the map to see an undistorted version. I don’t know why, but until I did this, the area looked about half its actual width.